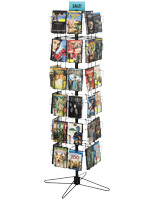 These 4-column literature rack spinners are made of durable metal with a neutral black finish. 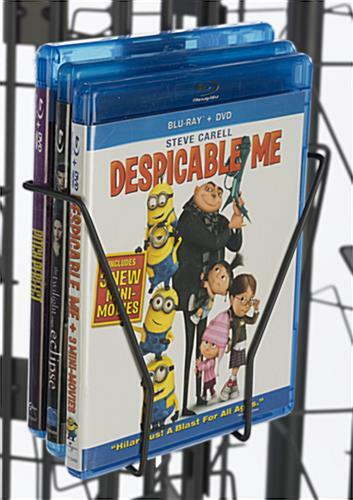 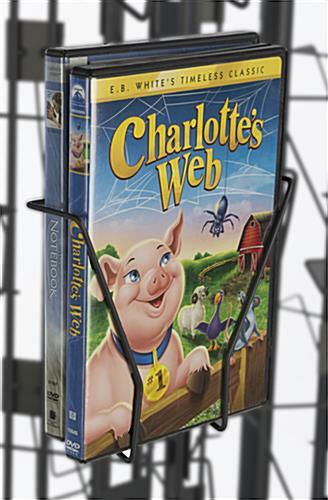 Each store fixture has four individually rotating frames, each with 48 pockets for holding cards, CDs and Blu-Ray discs. 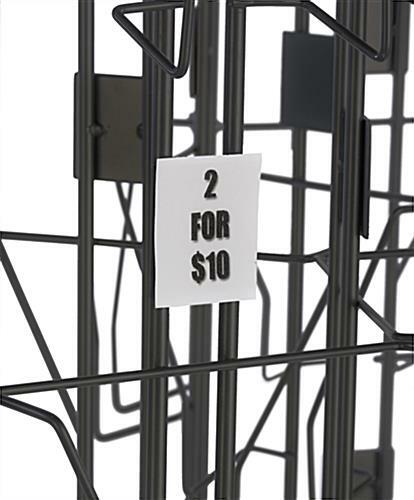 Another feature of the literature rack spinners is their four sign headers for fitting graphics that measure 4" x 6". 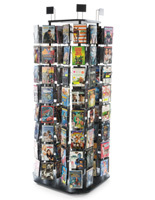 This type of rotating display is ideal for retail outlets like specialty shops, convenience stores and supermarkets. 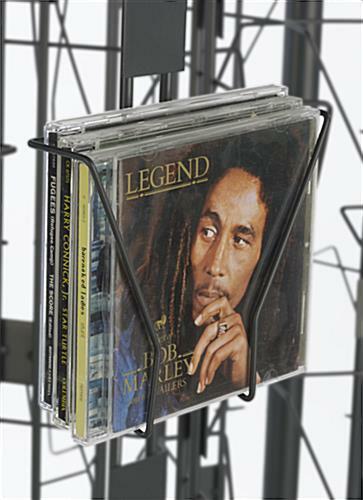 The metal card spinners with 196 pockets feature a large, stable base that keeps the stands upright with ease. 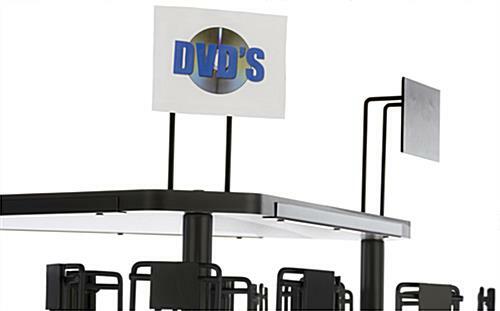 Great for impulse buys, these fixtures can be placed near POS and register line with a footprint of only 24" x 24". 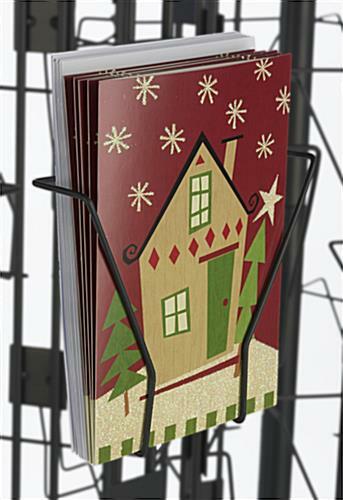 23.8" x 78.0" x 23.5"
6.0" x 5.3" x 1.5"
4.1" x 6.1" x 2.2"